Throughout our quotidian lives, many phrases pass our lips and ears. Around the world, this occurs in hundreds of languages. Now I stop and ponder, can a simple phrase point to a reality beyond our grasp? I woke up this morning thinking about, “it’s just a drop in the bucket.” A common phrase used to express a very small or unimportant amount. With this, I began to wonder how many drops are in a bucket, a phrase that preceded “a drop in an ocean.” As though there are not enough drops in a bucket. As though we need to feel even more diminutive. And then the epiphany: our species have invented languages and phrases to wrap our minds around a much larger universe. And in so doing, we think of ourselves as centers of this universe, as a drop in a bucket that we can carry. Idiom or metaphor, the phrase leads to an interesting reflection on scale, size and significance. Let’s start with scale. If one drop were to equal one second in my life, how full would my bucket be? To calculate this, I equipped myself with an eyedropper, a quarter cup measurer, a bucket and the calculator APP on my iPhone. You see, if we were to actually count them, the drops would add up to a sizable number. But let’s stop for a moment to do the math and add greater (in)significance to our lives. One bucket = ________cups, or ________________drops. Life expectancy = +(-) 88 years. 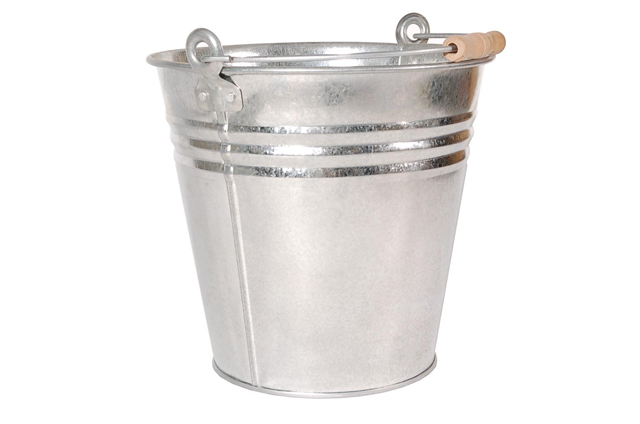 Bucket _______%full. While conducting this experiment, I tried to imagine the origin of the phrase when our ancestors found the time in their very busy schedules of feeding, clothing and sheltering themselves to actually ponder the number of drops in a bucket. Obviously, it came before the invention of the calculator and after the invention of the bucket. Or maybe it was “a drop in a vessel” and then later became bucket when vessels became a metaphor for the body carrying a soul. But if the size and scale of the calculation increases, like drop in the ocean, it becomes more complicated. We must then factor into the equation the amount of evaporation that occurs in the process and the unfathomable size of the ocean that we did not create. But I digress. Suffice it say, “a drop in a bucket” is easier to carry around. So I conclude, the number of drops is significant compared to the insignificance of one drop. And if YOU represent ONE DROP in the bucket or ocean, one of 7 billion people, or one of an untold number of living creatures on the planet, it can make YOU feel either incredibly insignificant or a part of a greater whole. Beneath the phrase, perhaps intended to make us feel humbled, is revealed the truth that the contemplation of finiteness of our reality compared to the infinity of the universe may be worth pondering from time to time. It offers a healthy dose of wonder, of which this entry is only a drop in a bucket.